Grazie all’approfondita specializzazione ed esperienza nel campo dell’identificazione delle tecniche e dei materiali fotografici, Sandra M. Petrillo è frequentemente invitata ad effettuare lezioni, seminari e master class presso varie istituzioni culturali e d’insegnamento superiore. Seminario: “Silver Based Photographic Images On Paper. Composite Materials and Their Deterioration. Conservation Restoration”, KUMU, Art Museum of Estonia, Tallinn, April, 2016. ​”Caring for Family Memories. Collaborative Working When Conserving Framed Daguerreotypes”, The Daguerreotype Symposium 2015, Bry-sur-Marne, 2015​. “Daguerreobase: The European Union Daguerreian Era Documentation Project”, The Daguerreain Society Symposium, Austin, 2014. “Silver, Mercury and Gold. Understanding and preserving daguerreotypes”, Finnish Museum of Photograpy, Helsinki, 2014. Conference: Edward Steichen’s The Bitter Years Exhibition. A Project of Many Dimensions. ICOM-CC PMG Interim Meeting, Benaki Museum, Athens, 19-22 October 2010. Lecture: Preserving Photographs in the XXI Century. New Frontiers. ICPAL Istituto Centrale per il Restauro e la Conservazione del Patrimonio Archivistico e Librario, Rome. Student advisor for thesis in photographic material at Ca’ Foscari University, Venice. Thesis by Teresa Peratello: Non-destructive Analytical Methods Applied to the Identification of Toned Photographic Prints. Workshop: Identification of 19th Century Photographic Prints, Kyoto University of Art and Design. Workshop: Prussian Blue. History and Practice of the Cyanotype Process. Photomeetings Festival, Luxembourg. Director of Professional Development for the staff of the Italian Photographic Foundation (FIF), Turin. Seminars on the identification of photographic processes and preservation methods for historic photographs. Workshop: Discovering the Processes of Historic Photographs. Science Festival 2003, MNHA, Luxembourg. Workshop: The Historic Photographic Processes, CNA. Student adviser for a final thesis in photographic restoration, INP-IFROA. Thesis by Cécile Miller: Tirages noir et blanc glacés aux gélatino-bromure d’argent altérés par un dégât des eaux. Workshop: Identification Techniques for Photographic Materials and their Preservation and Conservation, University of Tor Vergata, Rome. 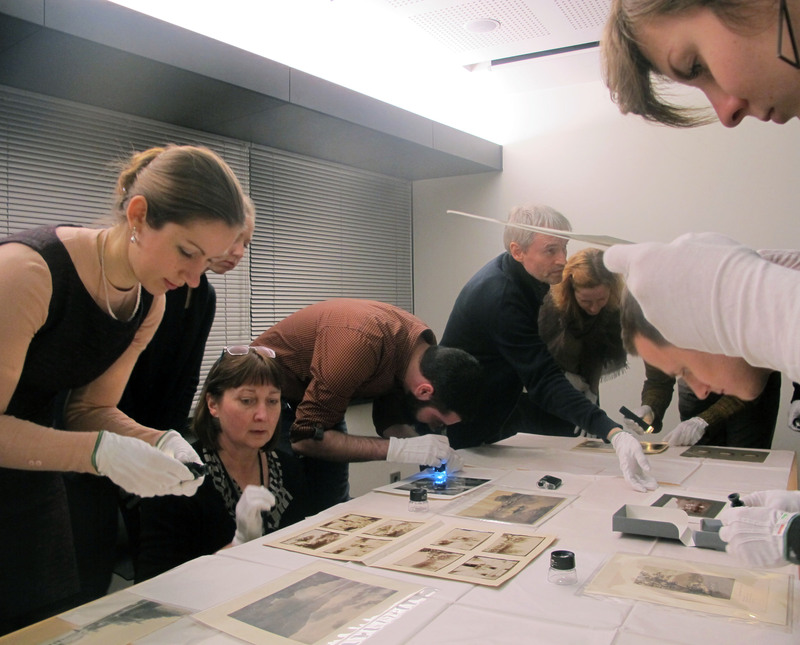 Workshop: Technology and Identification Methods for Main Historic Photographic Processes, CNA. Workshop: Retouching Materials and Methods for Filling Losses in Photographic Prints, Fachhoschule of Bern, (Switzerland). Delivered two workshops in photographic restoration for the students of INP-IFROA, Saint-Denis. Lecture: Études des techniques de montages des panoramas photographiques composés des vues juxtaposées sur papier albuminé. Restauration de deux panoramas de J.P.Sébah per il 21st ICOM-CC Meeting, Edinburgh, 1-6 Settembre 1996.